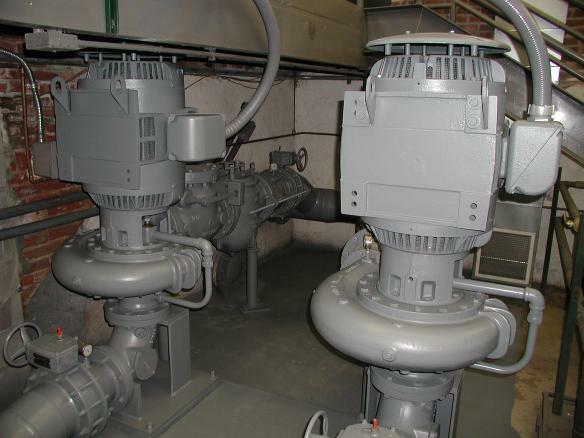 Two 125-horsepower pumps provide water for the fountain. 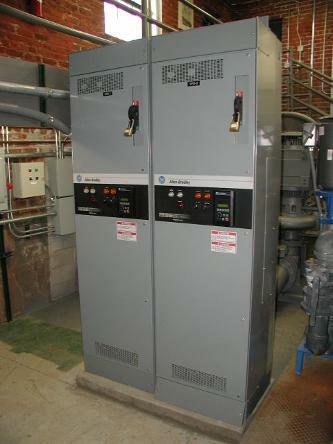 Variable speed drives for the fountain pump motors. 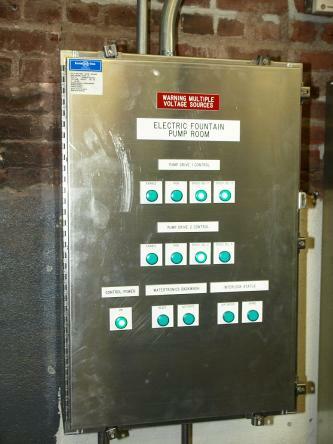 This control panel connects the motor drive circuits to the control room. A check valve and basket strainer are part of the plumbing at each fountain pump. 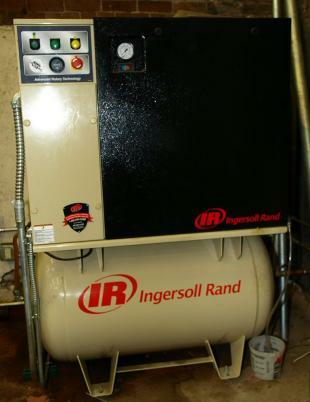 A compressor in the pump room supplies the air pressure to operate the proportional-control automation valves in the fountain vault. 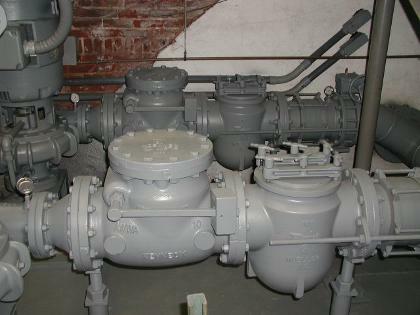 These valves control the height of the water features.